At Zoëtry Wellness & Spa Resorts, we have the privilege to host many weddings every year. Nothing makes us happier than being able to provide the exquisite setting and stellar service necessary to turn a dream wedding in to reality. Here at Zoëtry, we strive to ensure your wedding will be perfect down to every last detail, and we love sharing our ideas on Pinterest. 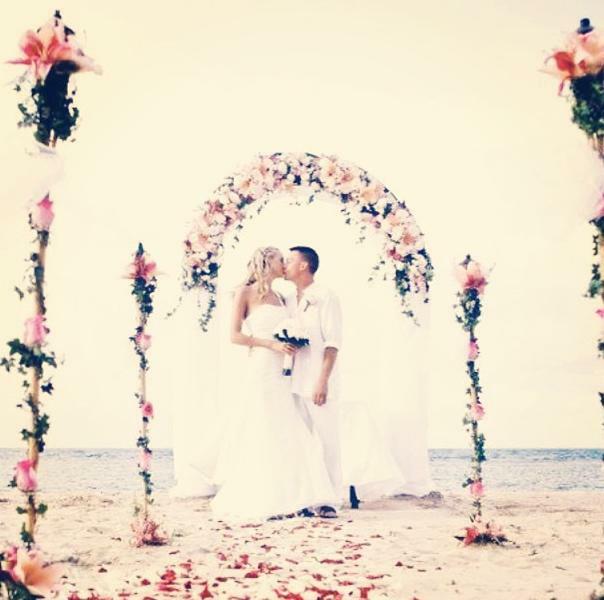 Follow us for a daily dose of wedding inspiration and stunning photos of life in a true tropical paradise! Check out some of our favorite and most popular Pins below from our Destination Weddings Board. We are in love with these gorgeous and totally unique shoes, so perfect for a beach wedding at Zoëtry Paraiso de la Bonita Riviera Maya! This lovely bride has quite the view at picturesque Zoetry Resorts Paraiso de la Bonita. The tail-end of sunset adds an air of romance and mystique at this poolside Zoetry Casa del Mar Los Cabos wedding reception. Loving the flip flops on this happy beach couple. What a beautiful shot! It’s all in the details at Zoëtry Casa Del Mar Los Cabos—this vivid bouquet is gorgeous, down to every pretty petal. What a fun, fearless bride. Anything is possible at Zoëtry Casa Del Mar Los Cabos! 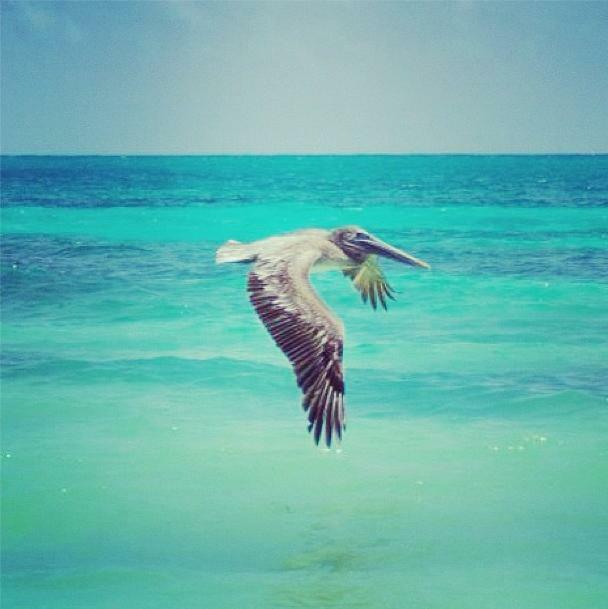 Did you know that Zoëtry Wellness & Spa Resorts is on Instagram? Every day, we update from our ultra-luxurious resort locations offer Instagrammers a sneak peek into our gorgeous resorts. 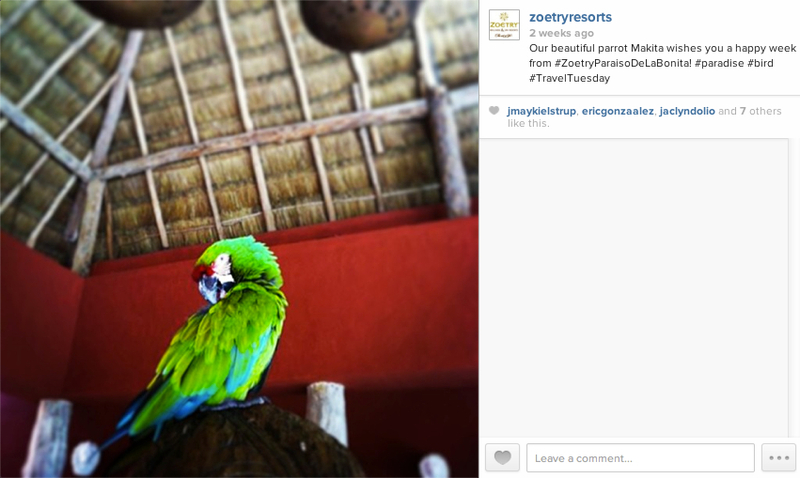 If you are planning your next vacation to Zoëtry, follow us on Instagram at @ZoetryResorts and don’t forget to tag your beautiful pictures with #ZoetryResorts during your stay! Listen to the soothing sounds of our harp while you dine. Luxurious open-air shower at Zoëtry Agua Punta Cana! 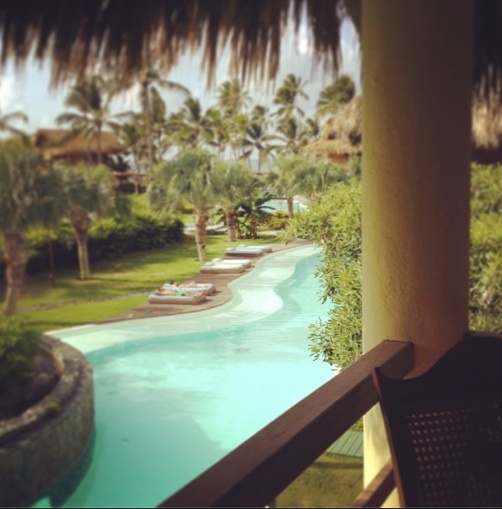 Gorgeous shot from the balcony at Zoëtry Paraiso de la Bonita! 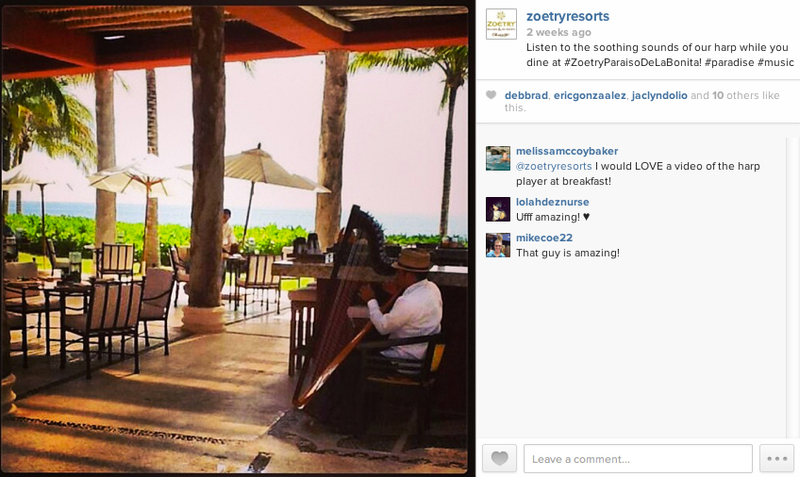 At Zoëtry Wellness & Spa Resorts, we love it when our guests share their vacation experiences with us. Whether it’s a treasured family photo or a snapshot of the perfect beach day, we’re always eager to see the unique and fun ways that our guests enjoyed their vacations. 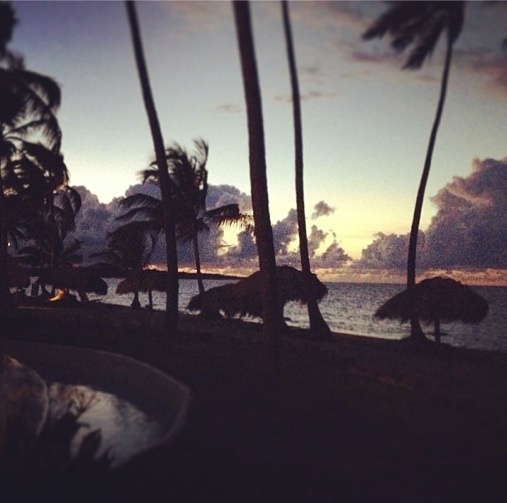 Recently, Heather posted some beautiful photos on her Instagram page of her trip to Zoëtry Agua Punta Cana. We loved them so much that we wanted to share a few with you! Are you on Instagram? Follow us today for daily gorgeous pictures of our resorts! 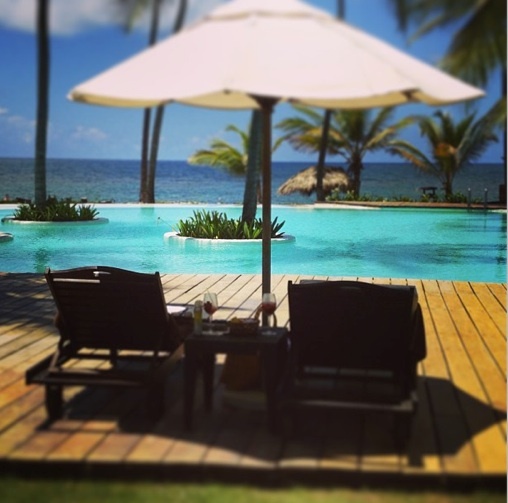 Heather has the perfect view from the pool at Zoëtry Agua Punta Cana. Heather hits the amazing white sand beach! A neat snapshot of the pool as it meanders through the resort. 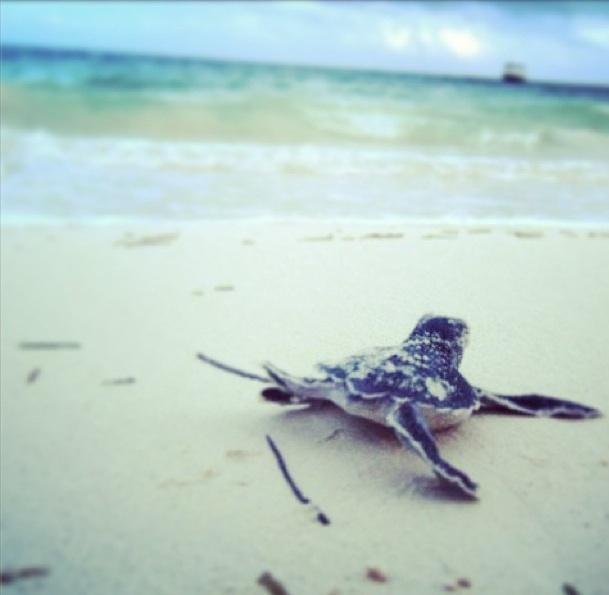 Just a small sampling of the wildlife that surrounds Zoëtry Agua Punta Cana. A gorgeous photo taken at sunset—our favorite time of day! To check out more of Heather’s photos, follow her on Instagram @stylemindchic or check out her Twitter page here. 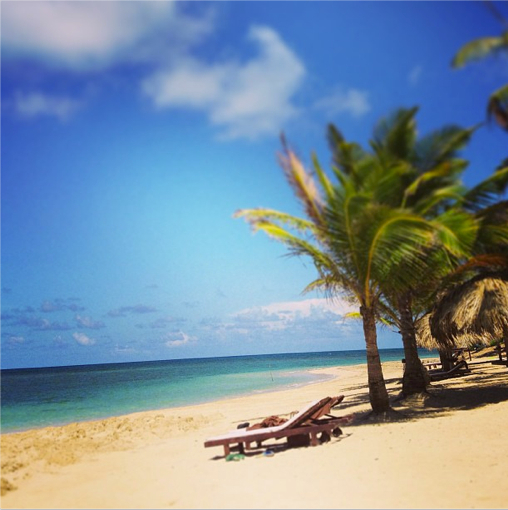 Photos of Instagram: Tag us at #ZoetryResorts! Pictures are worth a thousand words and spur-of-the-moment photos are the best. Today, we’d like to share a few of our favorite Instagram photos. To see more where this came from, be sure to follow us on Instagram at and tag your best candid vacation photos with #ZoetryResorts. 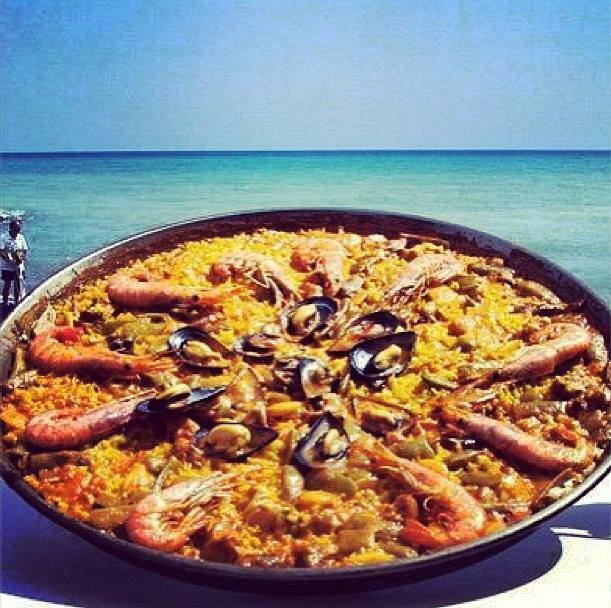 A mouthwatering dish of one of our chef’s specialties, Paella. Yum! A beautiful beach wedding at Zoetry Agua Punta Cana. A graceful pelican flying over the pristine ocean. Baby sea turtle shuffling to sea! Over the last few years, we’ve continued to establish a solid presence on social media for Zoëtry Wellness & Spa Resorts. We post regularly to our blog, The Well, have grown our Facebook fan base for the Zoëtry brand to over 7,500 fans and acquired a Twitter following of 2,100 people. We are excited to leverage social media as an opportunity to “meet” our fans, followers and guests online, and we figured it’s about time we introduce ourselves, the AMResorts Travelistas! We’re the ladies bringing you the latest posts, news, tweets and updates online every day. We write the posts for all our blogs, partner with our properties to update our resort Facebook pages, tweet out updates and stories, and otherwise let our presence be known throughout the (virtual) travel industry. Now, without further ado, I present your Travelistas! Main Blogs: All of them! Growing up on the sunny coast of Southwest Florida, I spent much of my childhood building sandcastles and collecting sea shells on Sanibel Island, snorkeling in Key Largo, boating in the Gulf of Mexico or simply basking in the sun by our backyard pool. I was fortunate enough to live in a place where it was summer year-round, which ultimately led to my passion for experiencing and discovering new tropical destinations. I’ll be the first to admit that I have high expectations when it comes to my idea of a luxurious beach vacation. I truly want it all, which is why my job suits me so well. As the Social Media Coordinator for five of the top luxury resort chains in Mexico and the Caribbean, I have now been introduced to the world of Endless Privileges®, Unlimited-Luxury® and Unlimited-Fun® vacations. I get to see and experience our properties first hand, and then share my knowledge, insider tips and behind the scenes details with resort fans, followers and guests through social media. My job is to help create excitement, answer questions and ultimately make your vacation decisions easier. Follow along as I take you on a journey to some of the most luxurious, romantic and exciting destinations without ever leaving your computer. Better yet, book your vacation at one of our resorts today and you can experience it firsthand for yourself! Traveling to new destinations can be both exciting and overwhelming so I will help ease your anxiety with fabulous ideas to fill your itinerary during your visit to Mexico or the Caribbean. No matter where you travel to I believe you need to experience everything you can. Some of my all-time favorite travel escapades that I’ve experienced include scuba diving in Greece, taking a train ride through Tuscany, shopping at a bazaar in Kusadasi, Turkey and parasailing in Cancun! Photograph and writing have always been hobbies that I have been passionate about and I’m lucky to now incorporate my passions into my work as a Marketing Coordinator for AMResorts. I’m thrilled to share inside tips about top luxurious resorts with you! Browse through my passport and you’ll see, I LOVE to travel! Whether I’m snowboarding through the clouds on the steep runs of Whistler, Canada or exploring the beaches of the yacht town of Marbella, Spain I am ecstatic to be around new places and new faces. That’s why I got a job working for the top luxury resorts throughout Mexico and the Caribbean. Writing about, talking about and actually experiencing the amenities at superb properties comes easily to me. Everyone deserves to get a piece of paradise, and that’s why I’m here – to share with you all of the delights that guests can take advantage of, from special events and offers to dining options and drinks of the day, I can take you on a sunny journey without leaving your computer. And who knows? I might inspire you to take a getaway yourself. Because I’m sure you’ll agree that life is always better on the beach! If you met me at a party, where we’d undoubtedly be chatting over a plate of mini cupcakes, within 5 minutes you would likely know two things about me: I have a major sweet tooth, and I love to travel. Over the years, I have made my sugary path around the world, eating delicacies and experiencing different cultures. I have licked honey off my fingers from baklava purchased at a Jerusalem market booth, waited in line to grab crepes from a cart in Paris, sucked sugar cane straight from the stalk in Paraguay. I have dined on bread pudding in London, lamington in Melbourne, gelato in Florence, and deep-fried oreos at the Jersey Shore. On a notable trip to Switzerland, I packed my luggage so densely with chocolate bars, I had to pay a bag fee on my return trip (it was worth every Franc!). Now, I get to combine my sweet tooth with my taste for adventure through my professional life! Working for top luxury resorts in Mexico and the Caribbean, I have the pleasure of bringing you delicious little tidbits from my travels. And since everything is Endless Privileges®, Unlimited-Luxury® and Unlimited-Fun®, there’s no end to the sweetness! The best part is, through my stories, news and information, you can enjoy every flavor without any of the calories. ¡Buen apetito! As long as I can remember, I’ve always had the itch to travel. Whether it’s spending a summer down at the beautiful beaches of Southern New Jersey or a week-long family vacation to the Outer Banks, I’ve always felt summer really isn’t summer until you’ve enjoyed some of life’s essentials – sun, sand and surf. Luckily I’ve managed to combine both my passion for travel and love for the beach into a career that is not only fulfilling but really fun! Working for top luxury resorts throughout Mexico and the Caribbean has only added to my thirst to travel more, discover more and experience more. Perhaps your perfect day is similar to mine – Lounging on a beautiful beach or catching some rays by a pool, of course, with a tropical cocktail in hand. And if it is, I hope that I can encourage you to experience a sunny getaway of your own with all the Endless Privileges®, Unlimited-Luxury® and Unlimited-Fun® you can ever imagine!